Metronidazole is an antibiotic used in dogs and cats to treat various conditions. 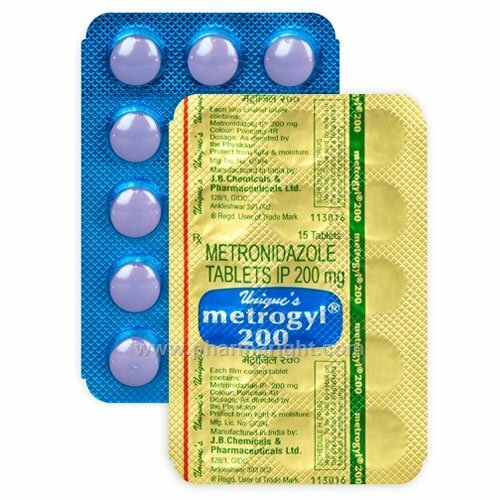 Metronidazole (also known as Flagyl) is used primarily as an anti-diarrheal medication for dogs and cats. It is effective against certain protozoal infections including Giardia, Trichomonas, and Balantidium coli as well as anaerobic bacterial pathogens. Metronidazole may also be prescribed to relieve inflammation of the intestinal tract. Because the drug can penetrate the blood-brain barrier and bone, it is sometimes used to treat infections of the central nervous system, bones, and teeth. The dosage for metronidazole in dogs and cats varies depending on its intended use and the specifics of a patient’s case. A dose range of between 5 and 25 mg/lb given by mouth is typical. Higher doses may be given once daily, while lower doses are generally given twice daily.